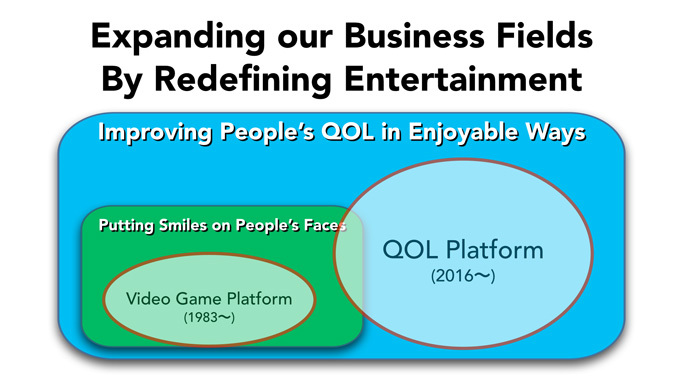 During Nintendo’s corporate management policy briefing, one of the things that they brought to the presentation was their mysterious QOL (Quality of life) platform. Well prepare to be dazzled as Nintendo have once again changed the way we… SLEEP. Everyone needs to sleep, and all of us get tired. There is no argument that whether or not we have sound sleep or not significantly affects our health, and many of us recognize through our daily lives that accumulated fatigue makes it difficult to maintain good health. However, we tend to recognize these conditions in a subjective fashion. Fatigue and sleep are themes that are rather hard to visualize in more objective ways. At Nintendo, we believe that if we could visualize them, there would be great potential for many people regardless of age, gender, language or culture. Of course, there are currently several existing ways to measure our sleep status. However, even though there must potentially be significant demand to visualize sleep, there have not been any definitive products to date. We believe that this must be because devices launched so far have required consumers to make some kind of effort, which made it rather difficult to continue. 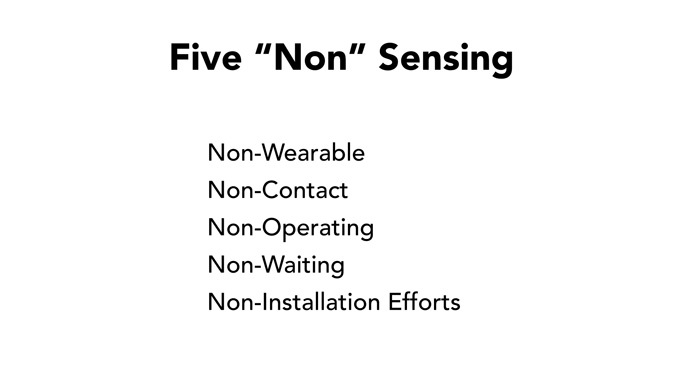 We will prepare the QOL Sensor that will automatically measure sleep condition under this Five “Non” Sensing concept. 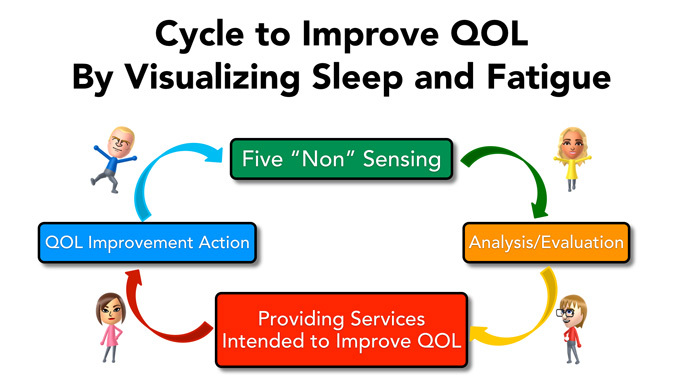 All you have to do is place the QOL Sensor on your bedside. Inside the QOL Sensor is a non-contact radio frequency sensor, which measures such things as the movements of your body, breathing and heartbeat, all without physically touching your body. 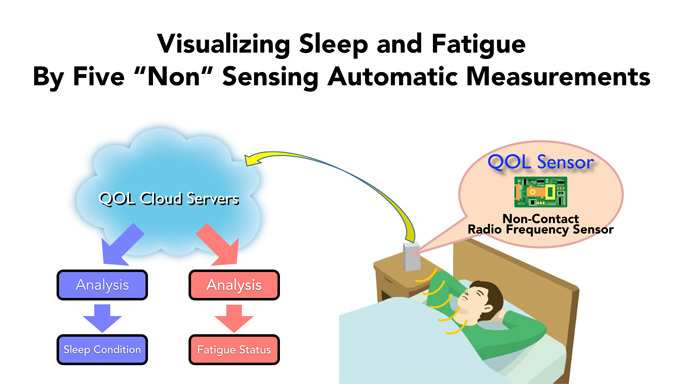 This automatically gathered data will be transmitted to the QOL cloud servers, which will then analyze the data measured by the sensor and visually represent sleep and fatigue results. So there you have it, Nintendo want to ensure you get a good night sleep after a lengthy session of Smash Bros.